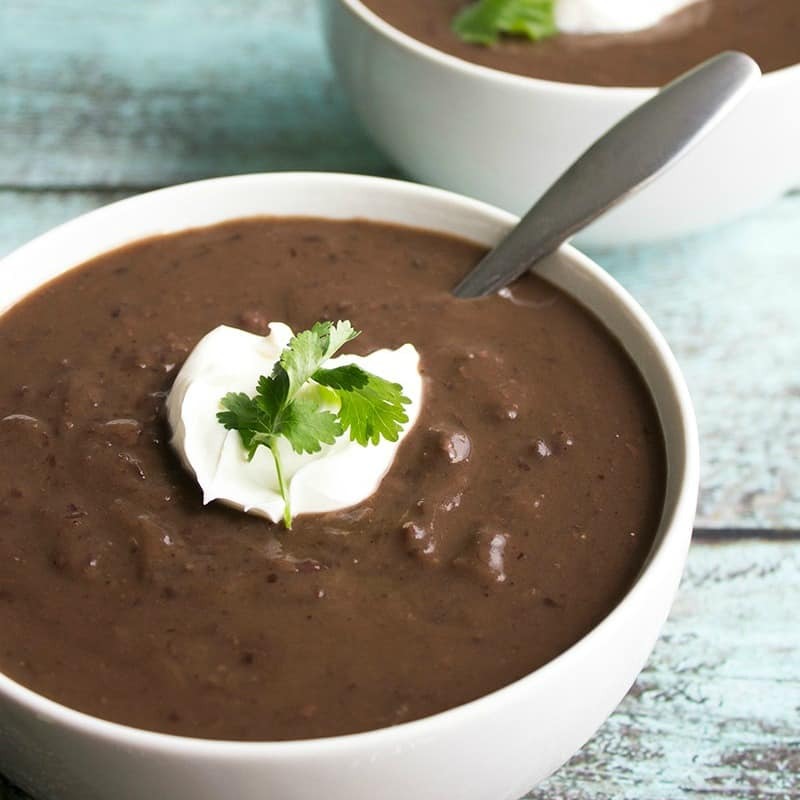 Creamy Slow Cooker Black Bean Soup is a comforting meal topped with sour cream for a dish that’s fit for a restaurant! It’s great for any occasion! 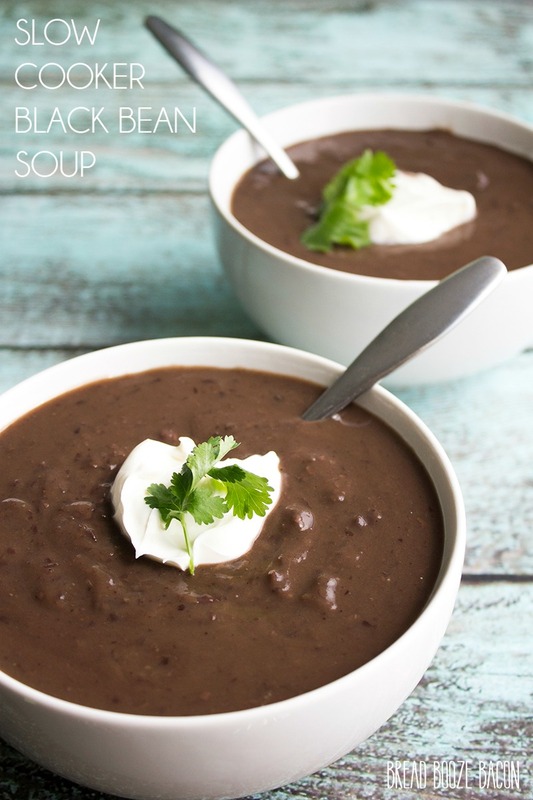 Black bean soup is one of my all-time favorite soups. Maybe second only to broccoli cheese soup, but sometimes this one wins. 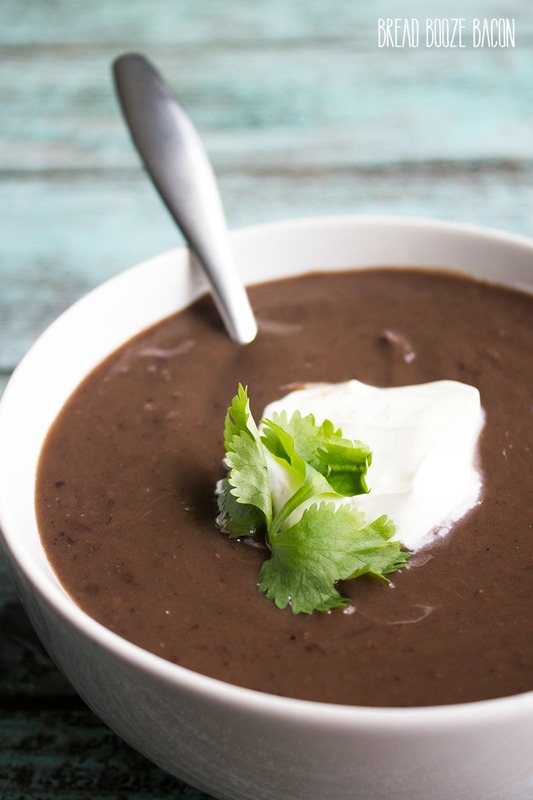 I used to always look forward to going to work on Tuesday because it was black bean soup day and I was going to devour a bowl. 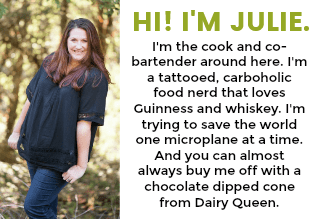 Even though I love soup, I’m all about keeping things easy. 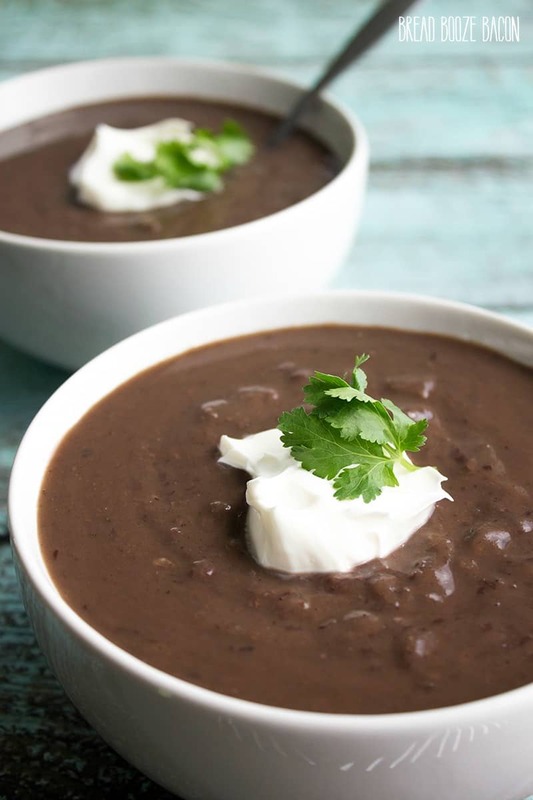 Sio when I had the chance to turn my beloved black bean soup into a slow cooker set-it-and-forget-it recipe, it was game on. All you need for this soup is to do a little prep work, toss everything in the slow cooker, and walk far far away. I’m kidding. Stay inside where it’s warm! And for bonus points, this soup will make your house smell amazing! It’s hard to hold out until it’s finished, but it is SO worth the wait! 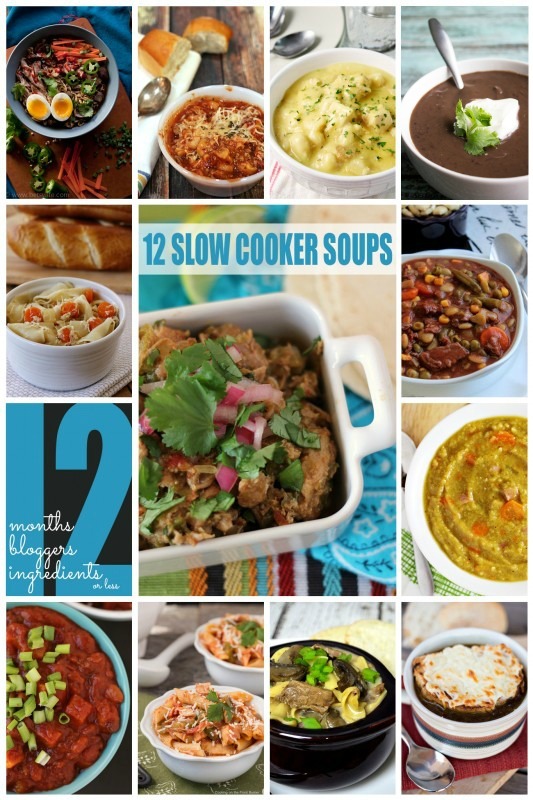 Need some more great crockpot soups with 12 ingredients or less in your life? 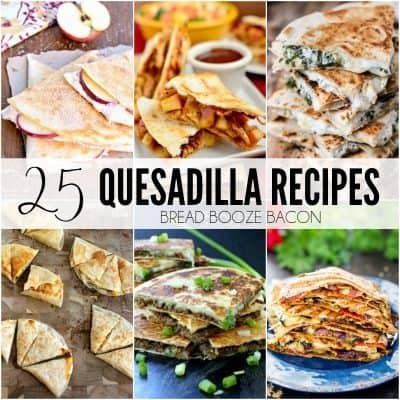 Be sure to hit all of the 12 bloggers recipes begin shared this month! There’s a soup for everyone, or try them all and cozy all winter long! 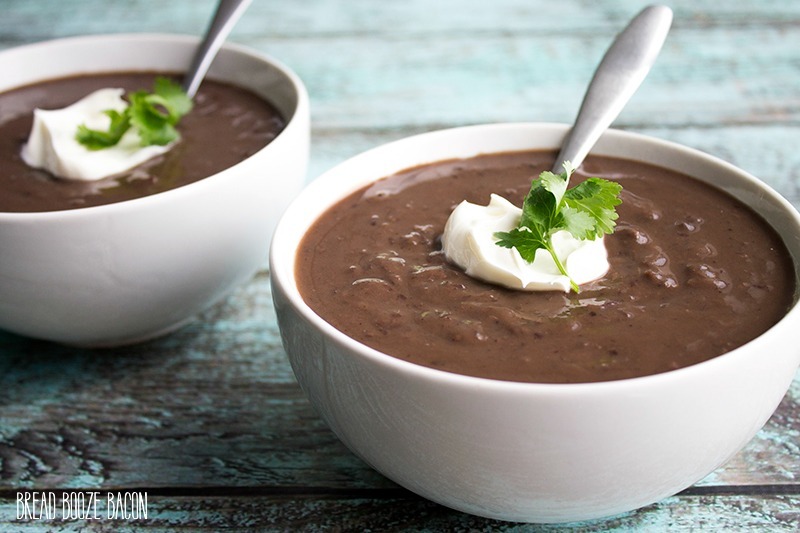 Creamy Slow Cooker Black Bean Soup is a comforting meal topped with sour cream for a dish that's fit for a restaurant! 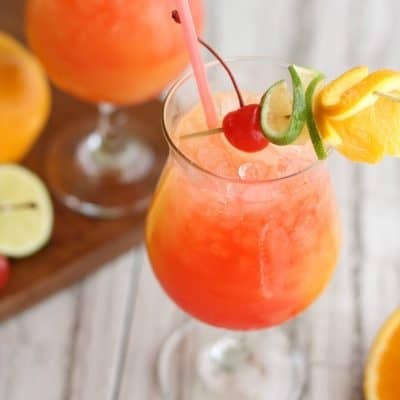 It's great for any occasion! Dice the celery, onion, garlic, and jalapenos. Grate the carrots using a cheese grater. Add black beans, carrots, celery, onion, garlic, and jalapeno to a 6-quart slow cooker, and stir to combine. Add salsa, cumin, chile powder, and oregano. Stir to distribute spices. Add broth and water to the slow cooker, and stir once more. Cover and cook on HIGH for 7 to 8 hours, or until beans are tender. I'm not talking they're sort of almost there. You should be able to mash them really easily.